You are here: Home / Obituaries / Clayton R. Geib, Jr.
Clayton R. Geib, Jr., 96, of Manheim, passed away on February 8, 2018. He was the loving husband of the late Yvonne G. Geib. Born in East Petersburg, PA, he was the son of the late Clayton R. Geib, Sr. and the late Bertha May (Risser) Geib. In his spare time, he enjoyed stamp collecting, working in his vegetable and flower gardens, jigsaw puzzles and spending time with his loving family. He was a member of the Exxon Travel Club, a life member of the VFW Post #8757 in Mountville, PA, Theodore Burr Covered Bridge Society of PA, the Pottsgrove Stamp Club and was a member of Zion Evangelical Lutheran Church. Clayton proudly served in the U.S, Army Air Force. He is survived by his two daughters; Yvonne J. Geib of Landisville, PA and Audrey L. Thomason (wife of Jerry) of Denver, PA; 7 grandchildren, and 6 great-grandchildren. Also surviving is a brother, Kenneth R. Geib of Lancaster and a sister, Myrtle Cain of Lampeter. He was predeceased by a daughter Sherry A. Ober (wife of H. Lee Ober) as well as by his siblings, Leona Gerlach, Clarence Geib, Robert Geib and Eugene Geib. 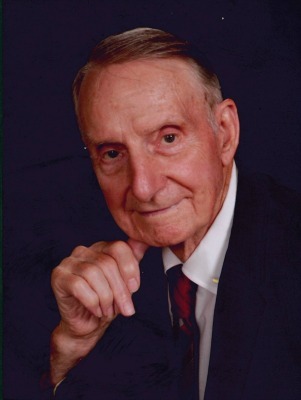 Offer Condolence for the family of Clayton R. Geib, Jr. I am so sad to hear of your Dad’s passing last night. I know he wasn’t doing well these past few months but it’s still hard to say good-bye, especially when it’s our parents. Your Dad was such a nice man and so interesting to talk to about his stamp collecting and of course, the Theodore Burr Covered Bridge Society of PA which is how your Mom, Dad and I became friends, about 23 years ago. Please know that I’ve missed your Mom since her passing almost 2 years ago and I will miss talking with your Dad, on the phone. I send my condolences and prayers to you all and thank you for keeping me updated about your Dad’s care and condition. God Bless Mr. & Mrs. Geib and all of you. Sorry for your loss; thoughts and prayers for you and your family. Bob , Judy & Desi Kuether, Members of the Theodore Burr Covered Bridge Society. So sorry for your loss and the rest of the family. I am deeply sorry for your loss of Clayton. May you find comfort in the memories you shared together as well as the promise of Our Heavenly Father to restore our dear loved ones that have fallen asleep in death, to perfect life on a paradise earth. He had this promise recorded for us so that we have hope and comfort when dealing with the death of our dear loved ones. All the best wishes for your family at this time, take care.